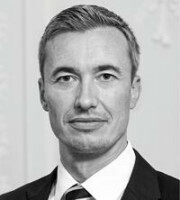 Paul Kretschmar joined Vossius & Partner’s trademark and design department in 2006 and became a partner of the firm in 2012. His core areas of practice include litigation and prosecution of trademark and design rights, border measures as well as unfair competition proceedings. Mr Kretschmar’s main focus is the enforcement of brands and designs against unauthorised imitation and unfair exploitation. Besides being an experienced litigator, he also advises on global trademark and design filing strategies as well as contractual issues – in particular, IP licence agreements. Among the longstanding clients he advises on a regular basis are leading companies from various sectors, including sports and fashion, consumer goods, food, automotive, electronics, pharmaceuticals and the transportation industry. Mr Kretschmar holds an LLM in IP law and obtained certification as an attorney specialised in IP law in 2010. He publishes essays in legal journals and is a co-author of practitioners’ handbooks on trademark and design law. Mr Kretschmar regularly lectures on various IP topics, including for the Practising Law Institute, San Francisco, the Japanese Intellectual Property Association and the International Association for the Protection of Intellectual Property of Japan. He serves on the Anti-counterfeiting Committee of the European Communities Trademark Association. He speaks German, English and Spanish.